I am nearing the end of my stay in Krakow. I’ve completed a monumental amount of dental treatment whilst here (so it wasn’t all fun) and I am glad for it to be over and to be going back home. Having said that it was really nice to see my parents, to see the city covered in snow and to have a break from cooking (courtesy of my lovely mum and a few nearby eateries offering good vegan food). Even though, I’m still about a month away from having the braces put on, today’s recipe happens to be a soup. 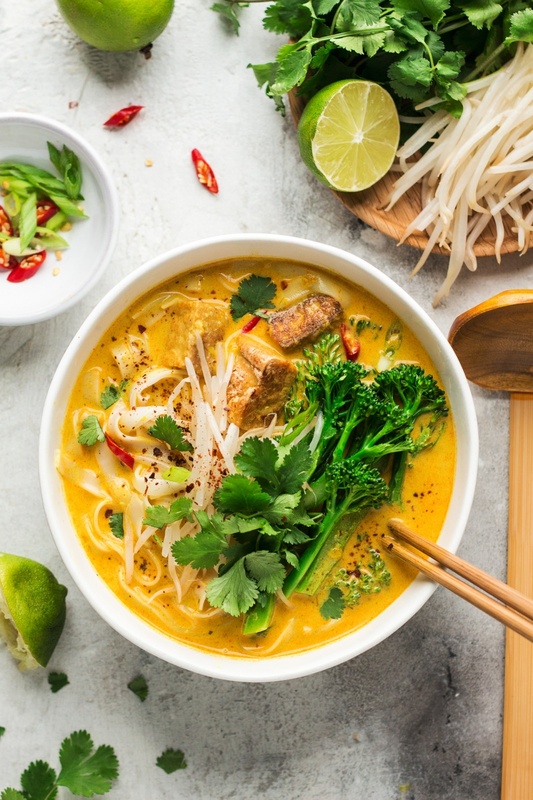 It’s not any old soup though, it’s an aromatic, spicy and creamy vegan laksa that’s really filling and comforting – perfect for these cold winter months. 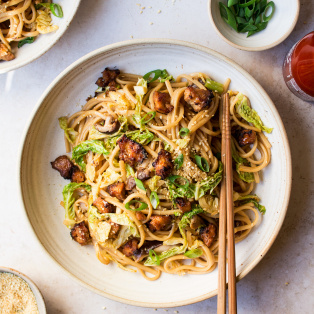 It’s warming and it won’t leave you hungry, thanks to a generous topping of flat rice noodles, steamed broccoli, pan-fried tofu cubes and sprouts. 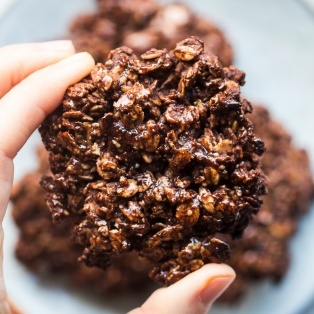 In creating this recipe, I went against Duncan’s wisdom to keep things simple and I am hoping you’ll see that it’s worth it. We always have this tug of war going on in our kitchen when he is like ‘come up with something really simple’ and I always set out with this very intention, but then get side-tracked and before I know it the recipe can no longer be called simple. See, to my mind a tasty vegan recipe (or any recipe for that matter) relies on a careful layering of flavours and textures that play off each other. Sometimes simple pleasures like new potatoes with some vegan butter and a pinch of salt will do, but most of the time a bit more effort is required to create a dish you’ll want to have again and again. 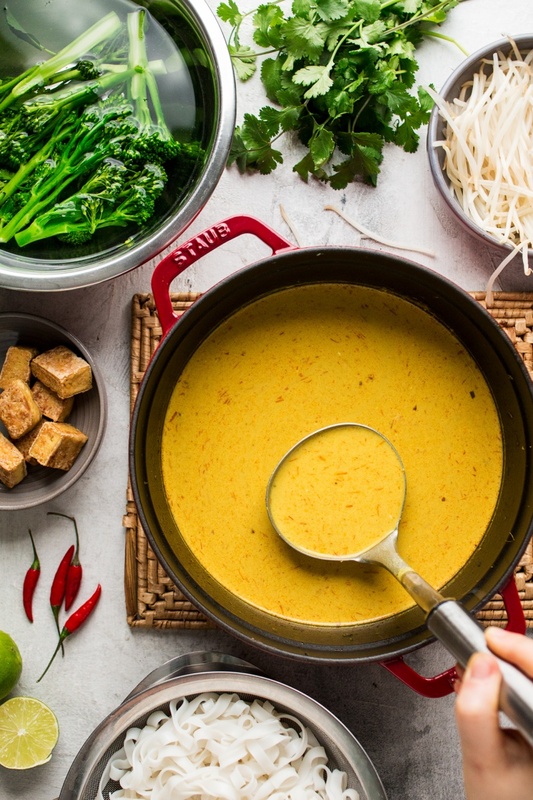 With laksa, the devil is in the spicy and aromatic paste that needs to be slowly fried off for as long as possible for all its amazing flavours to develop. Then it’s about the creaminess of coconut versus the acidity of lime and the freshness of sprouts and herbs, versus the toothiness of noodles. 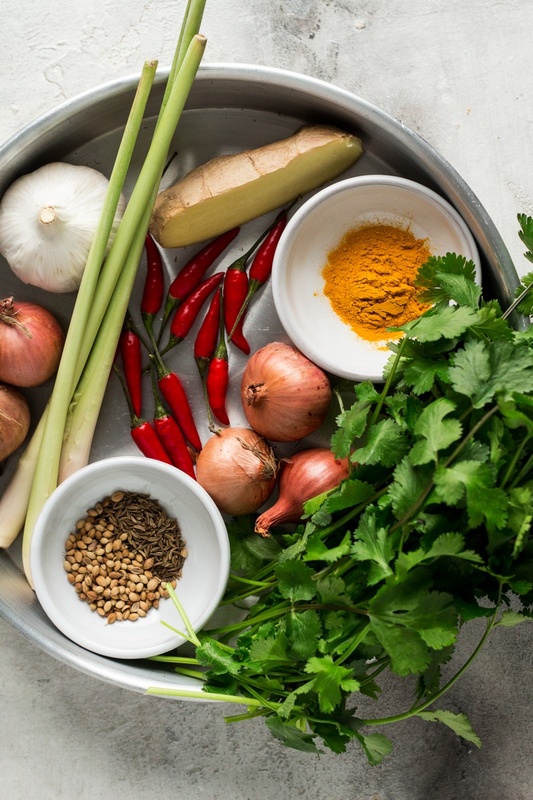 Typically, laksa paste contains shrimp paste for umami (or 5th taste as it’s also known). To mimic that seafoody taste, I’ve ground up some nori sheets, which adds a subtle taste of the ocean to my paste and I am really pleased with the outcome. I really hope you’ll make it and love it as much as we did! PS: If you make my vegan laksa, don’t forget to tag me on Instagram as @lazycatkitchen and use the #lazycatkitchen hashtag. I love seeing your takes on my recipes! Place all the paste ingredients apart from the dry spices in a food processor or chopper and process until finely shredded. You could also use a blender, but you will need to add water and the paste will splatter a lot when being fried off in the next step. Heat up 2 tbsp of oil in a heavy bottomed pot. Add the laksa paste and fry it off very slowly (on a low heat) for at least 15 minutes, stirring the whole time. With 5 minutes left to go, add dry spices and continue to fry the mixture off gently, stirring regularly. Next, add in stock, 1 tsp of salt and all the lemongrass leftovers that did not go into the paste, apart from the very outer leaves. Cover the pot and bring the soup to a gentle simmer. Simmer for about 30 minutes. Fish out the lemongrass bits with a slotted spoon and discard. Slowly stir in coconut milk. Taste the soup and season to taste with more salt (if needed), lime juice and a touch of sugar. Divide the greens, noodles and tofu puffs between 4 bowls. Top with blanched sprouts and fresh coriander. 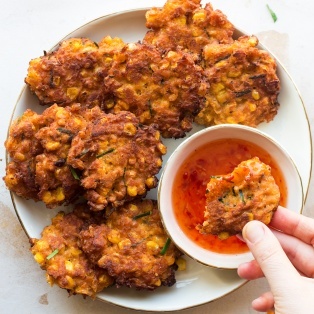 *As a cheat, you could use 3-4 tbsp of shop-bought vegan Thai red curry paste instead. It won’t be quite authentic, but also delicious and way faster. **I pregrind it in my spice grinder and keep it in a sealed jar as it’s a perfect, rich in iodine, seasoning to sprinkle on rice / sushi and it makes an excellent replacement for the fishy umami flavour that so many South-East Asian dishes feature. I ove your blog. It has so many interesting recipes and ideas. It isn’t always easy to fine tasty vegan recipes to fit many tastes and diet restrictions. This helps so much to have such a variety. Thanks. 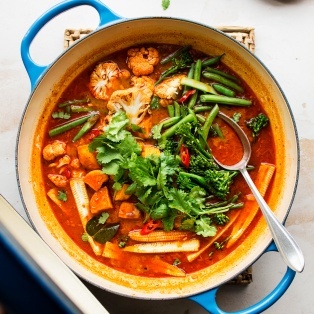 I fancy making this creamy laksa but I don’t like coconut. Could I replace the coconut milk with yoghurt do you think? Thank you, Julie! I am delighted to hear that the wellington turned out to be such a success! As for your question regarding laksa, that’s a tough one. I worry that yoghurt will curdle in the hot soup. Perhaps cashew cream would work. To make it, simply soak raw (not toasted) cashews in boiling water for 30 minutes and then blend in a blender with enough water to obtain a thick, smooth cream. Hope that helps! Hi Ania, 💉hope they’re giving you plenty of local anaesthetic! Is the Polish NHS better than Britains’s? OMG, outstanding!!!! We served it with lime wedges as well as all the other suggested toppings, and also offered chili garlic sauce 🙂 completely, amazingly perfect! PS, we left out the nori, we felt it really wasn’t needed but would probably also be great with it! I love your recipe’s simple or elaborate doesn’t bother me, you are amazing and give us such amazing concoctions. 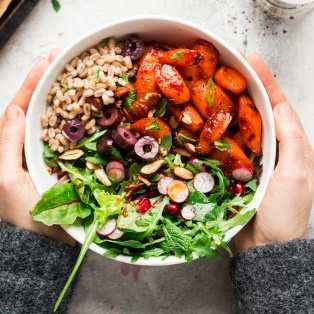 I was wondering if you would consider breaking down some of the nutritional values in your creations, I have a problem in that I am diabetic and need to count for instance both calories and carbs, in order to dose my meds with. Otherwise I have to just shoot from the hip and guess. 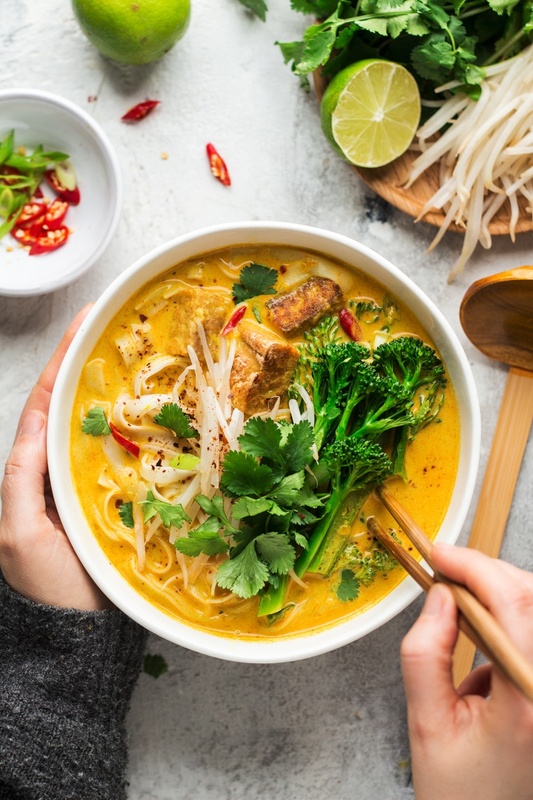 The laska soup looks amazing and I have to be careful to get a reasonable amount of carbs because my body uses this for energy, and takes energy from my muscles, while I have this challenge. I count my calories because I am gradually cutting them to a healthy level for weight loss which helps me eventually overcome the diabetes, as I am type 2. I do understand it could be hard to do this and I would do it, only I don’t know how to begin getting the nutritional values, maybe if you know you could direct me to finding out how to do that, if this would not suit your schedule, I know I am asking a lot, and it’s time consuming. Many thanks for your kind words about my recipes – so nice to hear! 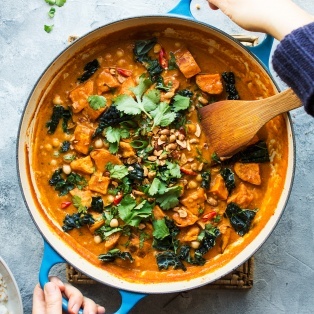 This recipe looks lovely – I might make it today! This looks delicious. Here in Australia I have been using vegan fish sauce which would be perfect to supply that flavour you’re looking for. I found it in the local Asian food store. You should surely be able to find it in the UK.